(CelebNMusic247) Bokeem Woodbine Talks ‘Total Recall‘ And More. Bokeem Woodbine stars in 2012 reboot of Total Recall - the remake of the classic 1990 Arnold Schwarzenegger Mars Sci-Fi film. However, this version is on a whole new level, though many of the popular moments are still within the structure of the film. No worries here, you can still see the big lady in the security check point and the three breasted woman. I mean what would Total Recall be without those moments. Bokeem talks about how he enjoyed working with ‘Total Recall’ director Len Wiseman. Bokeem tells CNM247 an interesting story how Wiseman is so in tune to detail that he stopped filming to have a background player change a page with the newspaper he was reading to add another dimension to the films enviroment. CelebNMusic247.com caught up with the actor/musician to chat about what makes ‘Total Recall’ a must see film (Hint: It’s all about the special effects and action sequences). Bokeem also talks about working with Collin Farrell and how he is such a great talent to work with. There’s a lot of similarities between the first film and this one, as far as the story line is concerned. The basic premise is there’s a man who is not sure that he is who he thinks he is. He’s having dreams early in the film that lead him to believe that maybe there’s something going on just beneath the surface in the world that he’s come to know and that things may not be what they seem. However, the movie has a completely different feel and tone. 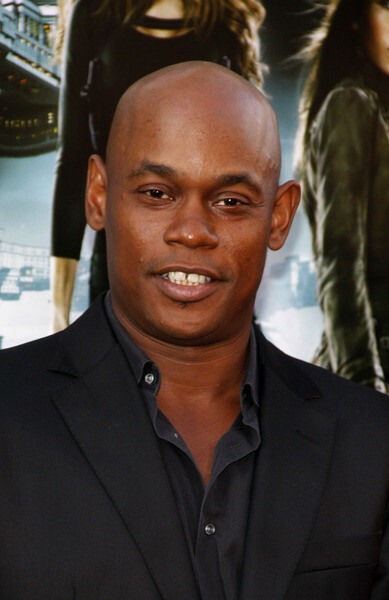 There are new characters like Bokeem Woodbine, who plays Henry. He is Collin Farrell’s best friend (Douglas Quaid / Hauser), though he thinks. I don’t want to give too much away, but the movie plays out nicely. All the classic moments are in the film and Woodbine talks about how it was just an honor to be in a movie that he was such a fan of. The Harlem New York native got his start at the age of 19 in the HBO production of Forrest Whitaker’s directorial debut,”Strapped.” Woodbine has been working in film for over a decade and is a true talent to the art of film making. Woodbine is always able to take on a role, bring it to life and adapt the situation and environment he is placed in. He has been a favorite of CelebNMusic247.com since he started. Woodbine is best known for his role in the hit film Jason’s Lyric and appearing in films like Black Dynamite, Devil and Fleshwounds. According to Woodbine, appearing in a sci-fi film was an unexpected dream come true. You can look forward to Bokeem Woodbine in the upcoming film 1982, which he tells us that he had just wrapped out of. You can catch Bokeem in the upcoming Riddick film. Woodbine tells us working with Vin Diesel was a great experience and that the third installment is going to blow fans away. It full of high action and everything fans are anticipating to see in the new Riddick film. It’s been rumored that Bokeem has landed the role of Bret in the upcoming film Fighting Back, a movie about a former United States Marine embarks on a brutal personal mission to find his Cousin’s murderer. The film stars; Terry Crews, William Fichtner.